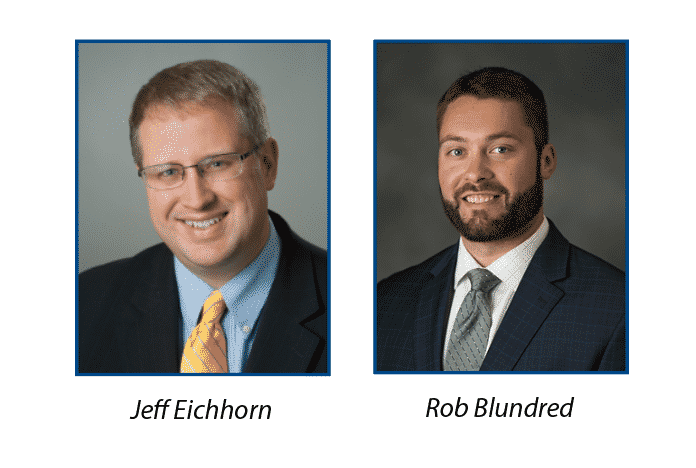 The Commercial Real Estate Council of Greater Cincinnati (CRECGC) recognized the outstanding sales performance of Schueler Group commercial sales agents, Rob Blundredand Jeff Eichhorn. The organization honored 52 members of the 2018 Top Producers Club for their achievements at a recent awards banquet. To qualify agents had to produce $2.5 million in sales/leasing volume during the 12-month recognition period. Activity in the commercial and industrial real estate market is a key indicator of the vitality of the Greater Cincinnati Northern Kentucky region. This is a first-time award for Blundred. Eichhorn has received the award multiple times. Rob is a licensed broker with Henkle Schueler & Associates, a division of Schueler Group. He has extensive experience in the fields of retail, office, industrial development and construction. Rob has assisted some of the area’s largest corporations and small businesses achieve their real estate goals. Jeff is an experienced and respected commercial real estate agent who has been with Henkle Schueler since 2007. Since 2009 Jeff has been featured multiple times in publications for closing some of the largest commercial transactions in Greater Cincinnati. Jeff works tirelessly for his clients and is a licensed broker in Ohio and agent in Kentucky. Congratulations to Jeff and Rob on an outstanding year!